While I wouldn’t blame you for finding this vintage postcard distressing, your selection of a Thanksgiving dinner wine should not put you under duress. Keep it cheap and cheerful. Sealed with a screwcap? Even better. No fumbling for a corkscrew or someone who knows how to use it. The Domaine de Pellehaut has an interesting flair to it. Sure it’s dry and refreshing, and has some nice fruity notes to it. But it also has a savory element (I’m guessing from the Tannat?) that is very intriguing. You can enjoy it with abandon in between bites of turkey and stuffing, or proceed to employ it to ease the awkward pain of family gatherings. (The latter is not my experience.) 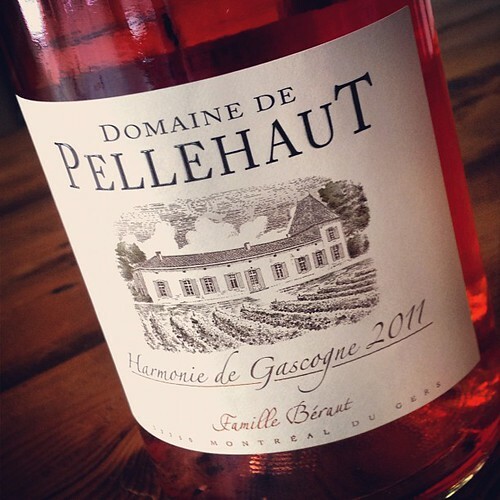 But, if you have a quiet moment or two, the Domaine de Pellehaut is a rosé worth contemplating. And that’s a lot to offer, especially from one humble bottle of wine. 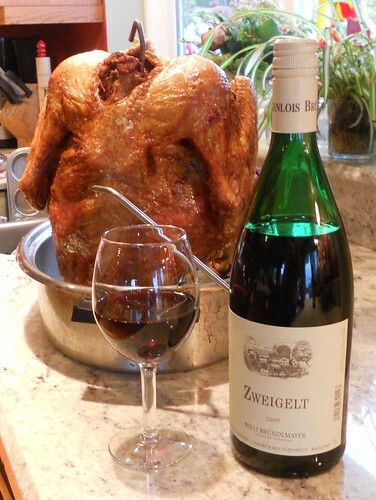 Two years ago it was a 1L of Zweigelt from Austria with a deep fried turkey. Happy Thanksdrinking! 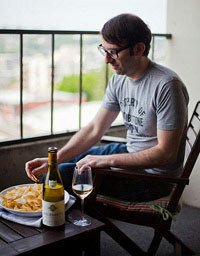 And special thanks to my family in Tacoma, who welcome my penchant for unique, off-beat wines. It’s a drink first, ask questions later type of attitude that opens up a whole new thirsty world of holiday wine enjoyment. 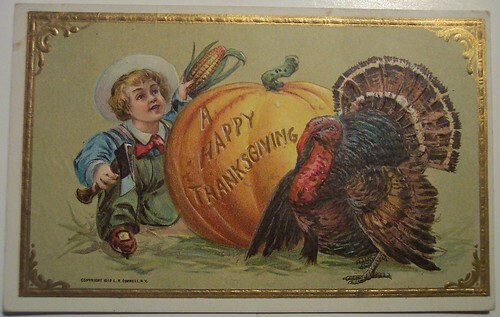 Bizarre vintage Thanksgiving postcard courtesy riptheskull. Good attitude and interesting choices! Some years I’ve gone for more variety but think I’m going with some good old American Pinot Noir! Thank you. Enjoy your Pinot Noir and have a Happy Thanksgiving! I’ll be pouring a all rose’ at my place this thanksgiving as well. Refreshing enough to be a good food pairing, loose enough to allow for creativity, and cheap enough to get enough for everybody! Excellent. Great minds think alike, no? Let me know what you think of the Pellehaut and have a great Thanksgiving.